Read our helpful guide to second hand Land Rover Freelander. AA Cars works closely with thousands of UK used car dealers to bring you one of the largest selections of Land Rover Freelander cars on the market. You can also browse Land Rover dealers to find a second hand car close to you today. 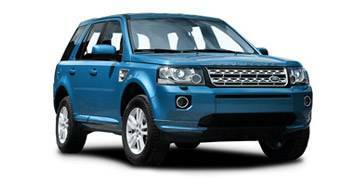 All used Land Rover Freelander on the AA Cars website come with free 12 months breakdown cover. First released in 1997, the Freelander was one of the very first compact SUVs to enter the market, and was primed to capitalise on a driver that was looking for rugged off road ability as much as they were day to day practicality. The Freelander delivered, and went on to become Europe's best selling four wheel drive. Unlike many compact SUVs which have since entered the market however, the Freelander is actually good off road (if not quite as good as the Discovery or Range Rover), with its Terrain Response system cleverly adapting the ride to combat whatever mud, puddles or gravel you may find yourself in. Of course, being a Land Rover, it's equally as proficient in handling your local country club's car park.